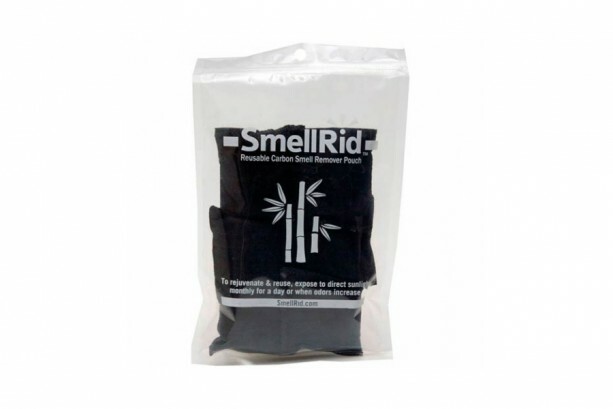 SMELLRID Reusable Activated Carbon Odor & Moisture Absorber - Small: 6 (2.5" x 3") Pouches/Pack. Each Treats Up to 25 sq. 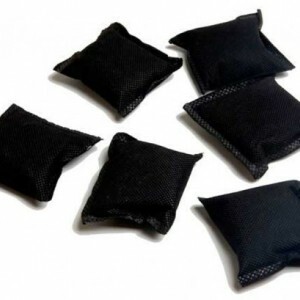 ft.
SMELLRID Reusable Activated Carbon Odor & Moisture Absorber - Small: 6 (2.5" x 3") Pouches/Pack. Each Treats Up to 25 sq. 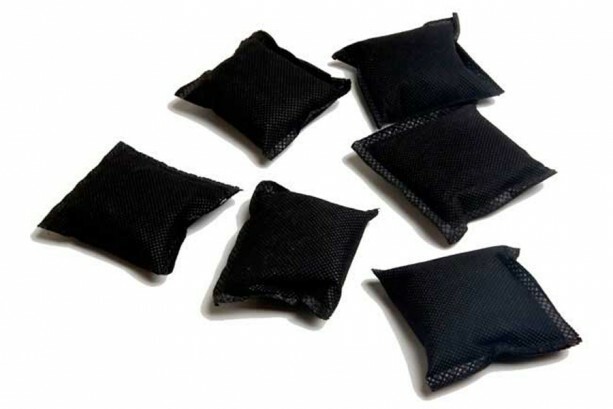 ft. Summary SmellRid™ Reusable Activated Carbon Smell & Moisture Absorbers control nasty odors and damaging hiqh humidity 24/7 using activated carbon, a safe and non-toxic all-natural material derived from sustainable moso bamboo. Features & Benefits • All natural activated charcoal eradicates strong odors • Absorbs moisture and controls humidity • Ideal size for smaller spaces & small product packaging • Easy to use, just place near any odor source • Long lasting deodorizing, Safe for people, pets & products • Reusable for years & recyclable -Reactivate in sunlight SmellRid™ Reusable Carbon Odor & Moisture Absorber Pouch – Ideal for Small Spaces & Items SmellRid™ Reusable Carbon Odor Absorber pouches use activated bamboo charcoal, a powerful all-natural ingredient that absorbs big odors that spring up in small spaces. Each pouch can be tucked discreetly into crooks and crannies or packaged with smaller items where not only odors, but mold-inducing moisture can collect. 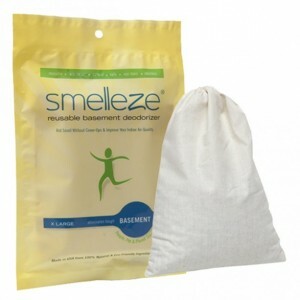 SmellRid™ is chemical and fragrance–free, non-toxic, non-reactive, and safe to use around people, pets, and products. Each pouch is reusable for years, reactivates in direct sunlight, and ultimately can be recycled in your garden soil. 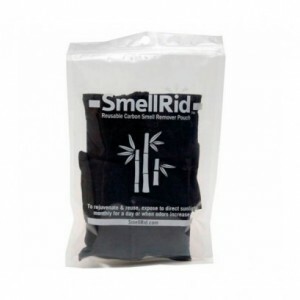 Activated Charcoal = Odor-free Small Spaces, Items & Products SmellRid™ pouches absorb and eliminate every type of small space odor while controlling humidity to reduce corrosion and mold. 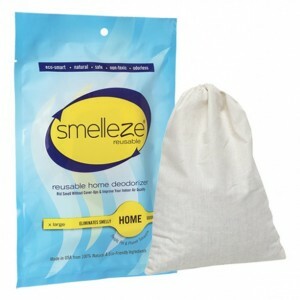 Simply tuck a pouch to eliminate odor and freshen up: • Drawers, items stored in small containers • Purses, computer bags, attaché cases • Boxing gloves, helmets, small items • Toiletry & cosmetic bags • Small pet & bird cages plus carriers • Sensitive electronic packaging • Packaging of products with odor problems • Replacement filters for air purifiers & aquariums Reuse, Reactivate & Recycle SmellRid™ is reusable for long-lasting odor eradication and can be easily reactivated in direct sunlight. After extended use and when the pouch is no longer effective, the charcoal ingredients can be recycled by sprinkling the contents to enrich your garden soil.